RoundAbout Travel, a national travel company specialising in Round the World airfares. RoundAbout Travel was founded in 2008 by travel professionals Amy and Mark Trim. After many years in the industry as travel consultants and branch managers we were frustrated by the confusion and mystery surrounding around the world fares and decided to do something about it. ‘Keep it simple’ was our answer and we set out to build a company and a website dedicated to servicing internet savvy individuals that wanted expert & timely service, relevant information, a user friendly website and most of all great value. Now in our 10th year of trading, RoundAbout Travel has grown to 18 staff and have sold in excess of $130 million of round the world airfares with many happy clients. You can read over 500 of our testimonials and reviews on Facebook or Trustpilot. 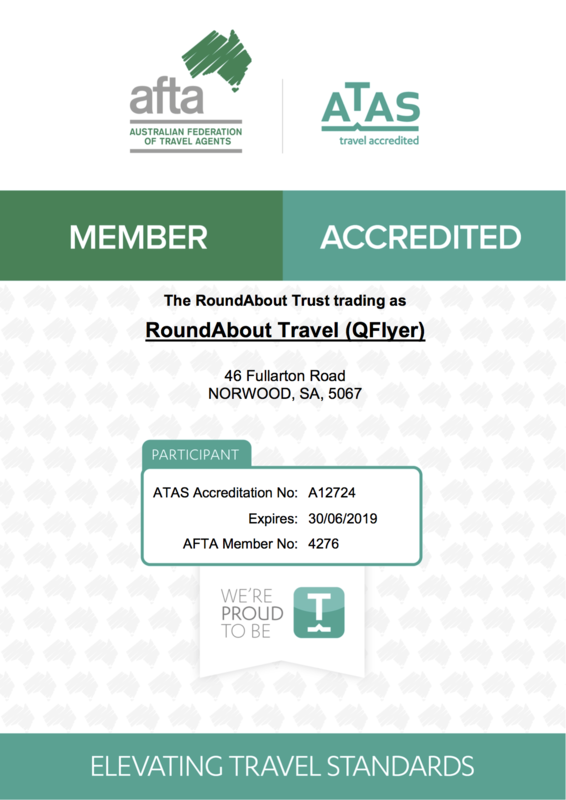 RoundAbout Travel is a part of the Independent Travel Group and is a fully ATAS accredited travel agency, and that’s extremely important in the current landscape. Please view our ATAS accreditation certificate here. All of our credit card transactions are processed via NAB with the security of eWay, Australia’s largest online merchant processor and we have full professional indemnity and public liability insurance. Our company director Mark Trim is in the office Monday-Friday 9am – 5pm and can be reached on 1300 318 227 should you have any questions or concerns to address. No credit card fees. We do not charge any fees for paying with credit card, including Amex. No more trips to the travel agent for empty promises or unreturned phone calls. Plan and book your trip from the comfort of your home or office using e-commerce and a dedicated round the world specialist.